“gentrification” has become. At this point it can refer to working class people getting pushed out of neighborhoods because of an influx of wealthy new residents or, as the article suggests, it can also evidently refer to the fact that historically marginalized groups who have historically been buried in obscure plots and forgotten are still being buried in obscure plots and forgotten even in present day New York City while rich people who have historically spent lavishly on their burials continue to be buried in luxury. While it is an injustice that the poor and the indigent dead continue to be buried on an inaccessible island off the coast of City Island (known as Hart Island), and the rich are buying expensive plots in the soon-to-be totally occupied Green-Wood Cemetery in Brooklyn (the borough's largest cemetery), this isn't gentrification. I would define gentrification as the voluntary invasion of a neighborhood by a more affluent group of people. In cases when a neighborhood has fallen into a state of dereliction and has suffered depopulation, gentrification can be a good thing. It revitalizes and repopulates the area. However, these types of neighborhoods are becoming exceptionally rare as more people move back into urban areas. This is most certainly true in today's New York City in which there are no longer any places like that. To gentrify a neighborhood in the city today necessarily means to displace working class and poor residents who will have to find somewhere else to go. Unfortunately, they will most likely be forced into a neighborhood suffering from entrenched poverty or pushed out of the city altogether. Gentrification also typically results in the exploitation of the neighborhood's cultural cache as developers, brokers, and hipsters steal its historical identity and synthesize it with more familiar and commercially viable tastes. This accelerates the gentrification process, attracting even wealthier people. Eventually, no one can afford to live in the area except for the fantastically rich. At this point, the neighborhood ceases to have a unique sense of place and instead possesses a universal and fatuous aesthetic that is the same as in upscale parts of Sao Paulo, Dubai, Hong Kong, Los Angeles or London. Let's apply this model to Green-Wood. Was Green-Wood a traditionally working-class cemetery? No. Are interred working-class corpses being dug up and transported to Hart Island? No. Are the limestone monuments that have made Green-Wood one of the most beautiful cemeteries in the world being torn down to make way for vulgarly modern ones that obliterate the cemetery's 150-year-old historical identity? No. Is the price of remaining or getting into Green-Wood skyrocketing, thereby meaning only the fantastically rich can afford to be dead there? No. Green-Wood was not a traditionally working-class cemetery; no one is being dug up yet; the statues and landscaping remain virtually unchanged; and the only reason it's becoming so expensive to be buried there is because there's a finite amount of space in urban cemeteries. Which brings me to the larger issue of New York City in the here and now. In a very real sense, the city is being gentrified. Rents have skyrocketed, yuppies have moved into middle-class neighborhoods, upwardly mobile millennials have made working-class communities more expensive for those who have resided there for years, mom and pop businesses have been pushed out to make way for corporate franchises, and older establishments have been replaced with trendy spots that cater to individuals with more discriminating tastes and disposable cash. It's something that I've been writing about for more than seven years now, and it's something that I've bemoaned for at least twice as long. New York City is supposed to be a dirty, somewhat fucked up place that is weird, raw, alive, and chaotic. You're supposed to get startled by rats and roaches on your walk home from the bar. You're supposed to know to avoid empty subway cars during rush hour (if you don't know why, take a step in and a big whiff). You're supposed to have to deal with the madness and the cacophony because that's what gives this place character. That's what gives New Yorkers character. As much as I believe that, I can't help but feel that the gentrification of many city neighborhoods doesn't account for all of the changes I've seen in the past seventeen years since I moved here from Michigan. Yes, it explains much of what's happened in the Village and North Brooklyn, but it doesn't provide a satisfactory answer as to why parts of LaGuardia's Delta terminal look like a Whole Foods or why Walmart is serving avocado toast. What seems to be taking place is far more universal. While I feel I run the risk of sounding dramatic, the catalyst behind all these changes is that corporate America's image of the average consumer has been, in a way, gentrified. Gone are the days of Joe Six-Pack and Plain Jane. The target consumers of today are assumed to be millennial, urbane, and interested in trying new variations of familiar products. The target consumers who are spending the most money on things like drinks at bars no longer want to hang out in a dank pit. In other words, there is a more far-reaching change that goes beyond the influx of moneyed people into formerly poor neighborhoods. It's a phenomenon that has given gentrification a specific aesthetic, but this aesthetic is being borrowed by business owners who have renovated their shops and anyone who opens up something new. Consequently, you can now get a flight of local ales while sitting beneath a bare Edison bulb in the Detroit airport, which is the kind of experience that one used to only be able to have in gentrified Williamsburg. It's as though that germ has spread throughout the country, and now everything looks gentrified. However, this is not gentrification. This is something far more pernicious and weird. Not all the new bars that are opening up look like rustic inns from the Hudson Valley. A lot of them favor an aesthetic that is mildly industrial because they want to look as though they're attached to a brewery. While this is a common look that one could very easily malign precisely because it's become so common, it usually indicates that the owners and the bartenders care about one thing and one thing only: beer. Yes, they're usually expensive. Yes, they tend to exist in neighborhoods that have been gentrified. 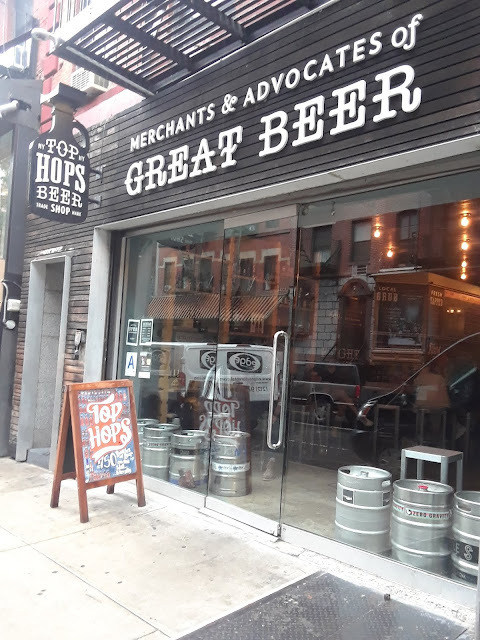 However, bars like Top Hops (94 Orchard Street) in the Lower East Side are the kinds of places that are part of the necessary fabric of New York City. More important than the taproom where people can sit around drinking and socializing like at any other bar are the more than a dozen fridges filled with different types of obscure beer. In a city that prides itself on being a place where you can get whatever you want (from bags of duck tongues and Malaysian jerky in Chinatown to Montreal-style bagels that have actually been trucked down from Montreal that very same morning in Boerum Hill), Top Hops is the kind of place that has to exist to make that a reality. If part of the city's allure is its ability to give the people who live here anything they want, then bars that specialize in difficult to find beers should not be regarded as unnecessary or one facet in the cultural suburbinization of the city. I realized this years ago while I was on assignment about Canadian craft beer—my own idea that I'd pitched without thinking that it would be even remotely difficult to find. For reasons that are more complex than you'd think, I was very wrong. It is extremely difficult to find beer from Canada in the U.S. unless you want Molson, Labbatt, or (on special occasion) Unibroue (the brewery behind La Fin du Monde). 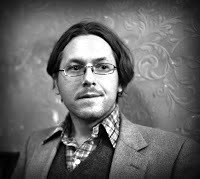 Consequently, I was in a situation in which I'd bitten off a little more than I could chew, and I wasn't going to be able to finish the assignment until I'd found at least three or four of them somewhere in the city. By the time I finally came upon Top Hops, I had spent the better part of a day combing through aisles upon aisles of beer in warehouses damp with the scent of yeast and wort. Whereas every other place had directed me to the import section with a bit of a shrug, followed by an incredulous look when I told them that they didn't have any Canadian beer besides the macro brews, Top Hops actually had a row of beer in a distant refrigerator that contained bottles from four or five Canadian craft breweries. They even included a bottle of stout from the world-famous Dieu de Ciel in Montreal. I was so excited with the find that I ended up sharing it with the bartender when I went up to pay. Even he was impressed (he was also grateful and kept refilling a half-pint tumbler with different beers on tap until I had to tap out and go home to write). Look, I have no illusions about the overlap between beer nerds and the type of people who gentrify neighborhoods. They are one in the same the grand majority of the time. However, as beer has become less of a flavorless delivery mechanism for getting wasted and more of a beverage to be appreciated because of its almost limitless variance, so too have good beer bars become necessary to any neighborhood in the city. What's frustrating is when they are poor imitations of the kind of establishments that opened well before the craft beer craze really took off—places like the East Village's Burp Castle, Park Slope's the Gate, or the West Village's Blind Tiger. Though Top Hops may be relatively new when compared to these institutions, it has become a fixture in the Lower East Side, and its absence would invariably leave the city poorer.